As we conclude another year now past the peak of hepatitis C research, HCV Nextasked me to consider where we came from, where we are now, and where we’re headed. They wanted me to address potential new mechanisms of action for DAA therapies, shorter durations of treatment, and how to deal with the small population of treatment failures, among others. But perhaps it is best to start with the biggest and most important question: Are we done? 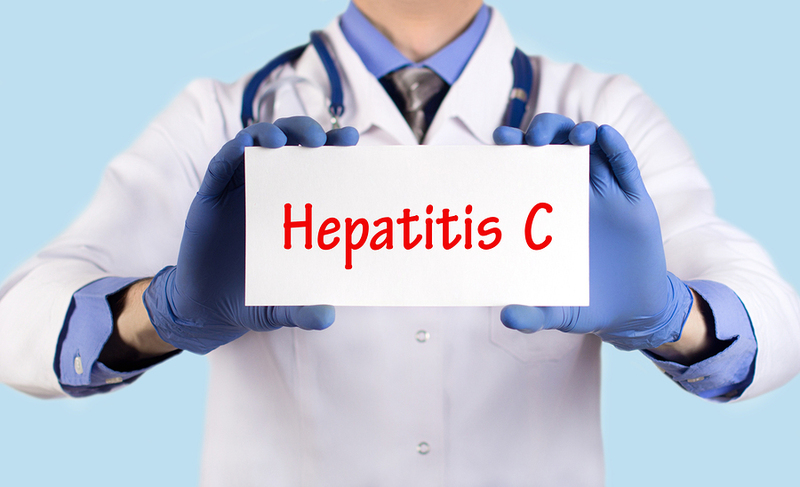 Have we succeeded in hepatitis C? A historical transformation of therapy in hepatitis C occurred, considering the rapid evolution of therapy from the days of PEG-interferon and ribavirin. As a reference point we should think back to the IDEAL study published in the New England Journal of Medicine in 2009 demonstrating sustained virologic response rates of 40% to 41%, with the associated toxicity well described of interferon. Now, less than 15 years later, we have multiple direct-acting, all-oral combination antiviral therapies with SVR12 rates of 95% to 100% and adverse event profiles similar to placebo. We witnessed a historic pace of development of new agents that now approach universal success. I think we all would agree these developments are remarkable and an unprecedented occurrence in medicine. It would be hard to believe we’re not done, at least in terms of the therapies themselves. With the antivirals we have and combinations thereof, we can cure 96% to 99% of patients with HCV. We can treat patients who historically have been difficult to treat in the past — this includes end-stage renal disease, decompensated liver disease and DAA failures. We historically worried about patients who failed DAA therapy because treatment-emergent resistance gave us few retreatment options. The POLARIS-1 trial demonstrated the once difficult-to-treat DAA failure now has therapeutic options. Even patients who have previously failed two classes of antivirals (NS5A and NS3) can now achieve an SVR12 of 96%, independent of frequency or class of resistance associated substitutions. Looking at the current mathematics of therapy, we have therapies with virologic failure rates of 2% to 4% and, now based on the POLARIS 1 trial, we can successfully retreat 96% of those DAA failures, bringing us down to about one in 1,000 patients who are left behind and will not respond to even the latest combination antiviral regimen. We have addressed every population in need of therapy and demonstrated SVR12 rates above 95% in most of these populations. The good news is that these non-responders or recurring relapsers comprise a miniscule population. The bad news is that we don’t currently have an answer for these few patients left behind. In evaluating these few patients, I would encourage clinicians to look at these patients’ resistance profiles and closely consider all the options in our armamentarium. The likelihood of developing new salvage therapies for these patients seems remote. Development of new salvage therapies have two significant barriers: first, novel antivirals are likely to be required, and secondly, the ability to find enough patients to enroll in a clinical trial would be problematic given the very high efficacy of today’s regimens. What about the concept of shorter duration therapy? Despite the advances this is a topic that is still frequently discussed. As we consider the concept of shorter therapy, it is essential to remember that we currently have almost universally successful therapy with a side effect profile that is essentially similar to placebo. Shorter durations would be useful from a compliance and simplicity standpoint, however there is no enthusiasm to accept lower SVR12 rates or increased adverse event profiles to accomplish this goal. Thinking about it practically, I would define two possible ways to shorten duration of therapy. First, would be to develop more potent antivirals that, in combination, could achieve a 95% to 100% SVR12 with 4 weeks of therapy or less. The second would be a directly-observed, single-dose parenteral therapy. Let’s consider each of these two scenarios separately. First, a 4-week or shorter duration of therapy would require combinations of antivirals more potent than the agents of today. In C-SWIFT, we demonstrated 4 weeks of therapy produced a suboptimal SVR12 with today’s antivirals. Importantly, it taught us that a 4-week duration is plausible; however, current antivirals require a specific phenotype of patient to achieve high rates of SVR12 with a short 4-week duration. Given the biologic plausibility demonstrated by C-SWIFT one can hypothesize that it is possible to achieve high rates of SVR12 with 4-week duration therapy if we had significantly more potent antivirals. In the second case, a single-dose parenteral therapy would be a paradigm shift for the hepatitis C field. It would involve technology that is not currently available with HCV antivirals, but has been demonstrated with HIV antivirals. Despite the astounding success of therapies today, if we were able to achieve either of these scenarios — one, a 4-week or less treatment duration or, two, single-dose parenteral therapy — the current universally successful therapy could be displaced. In terms of new mechanisms of action or new delivery techniques, the enthusiasm of drug developers appears to be decreasing based on the universal success of today’s therapies and the decreasing cost of HCV therapies (see Feature on page 16). The scientist in me would like to see a new mechanism of action and novel delivery technology, but the realities of the current market place appear to make these possibilities unlikely. The good news for patients is that same competition that makes it unlikely we will develop new technology has driven down the cost of therapy. The recent additions to the market have significantly decreased the cost of therapy. This is great for all of our patients and those of us who treat these patients. The pricing environment also now increases the likelihood of further opening up access to therapy to the broad population of patients with hepatitis C.
Thinking more broadly about the current landscape in the U.S., there is obviously a lot of debate about health care right now. Giving HCV patients more and better access to curable therapies is most important to society. The big drivers toward HCV eradication start with screening and linkage to care. We are driven by the opportunity to provide our patients with the best chance to get diagnosed and linked to care. Eradication of HCV has many challenges including effective delivery of these therapies to all parts of the world. However; with the right motivations and the correct distribution methods, eradication is a tangible possibility in the future. There are obviously many obstacles to achieve this goal. We will have to treat people in some hard-to-reach places, and we will have to think about the populations prone to reinfection, among many other challenges. Certainly, eradication would be given a boost with an effective vaccine. With the need for treatment research dwindling, perhaps we should double up our efforts in vaccine research or consider treatment as prevention being touted by patient advocacy groups. Eradication may be a dream but I hope it can occur in the future. We shouldn’t give up on this goal. Nothing is impossible, and I look forward to future progress toward this lofty goal. We have seen a remarkable change in the state of HCV therapy and the medical community should be proud of the successes that have been achieved. Gane EJ. Abstract 79. Presented at: The Liver Meeting; Nov. 7-11, 2014; Boston. Kohli A. Ann Intern Med. 2015. doi:10.7326/M15-0642. Kohli A. Lancet. 2015. doi:10.1016/S0140-6736(14)61228-9. Kowdley KV. N Engl J Med. 2014. doi:10.1056/NEJMoa1306227. Lawitz E. Abstract LB-33. Presented at: The Liver Meeting; Nov. 7-11, 2014; Boston. Lawitz E, et al. Hepatology. 2017 Feb;65(2):439-450. doi:10.1002/hep.28877. McHutchison JG, et al. N Engl J Med. 2009. doi:10.1056/NEJMoa0808010. Poordad F, et al. Abstract O006. Presented at: International Liver Congress; April 22-26, 2015; Vienna. Sulkowski MS, et al. Liver Int. 2017 Jun;37(6):836-842. doi:10.1111/liv.13335. Tran TT. Abstract 80. Presented at: The Liver Meeting; Nov. 7-11, 2014; Boston. Yoshida EM, et al. Hepatology. 20155. doi:10.1002/hep.27366. Disclosures: Lawitz reports receiving research/grant support from AbbVie, Gilead Sciences, Janssen, Merck & Co., acting as a speaker for AbbVie, Bristol-Myers Squibb, Gilead, Merck & Co, and providing advisory/consultation for AbbVie, Achillion Pharmaceuticals, Bristol-Myers Squibb; Enanta, Gilead Sciences, Janssen, Merck & Co., Novartis, Santaris Pharmaceuticals, Regulus and Theravance.